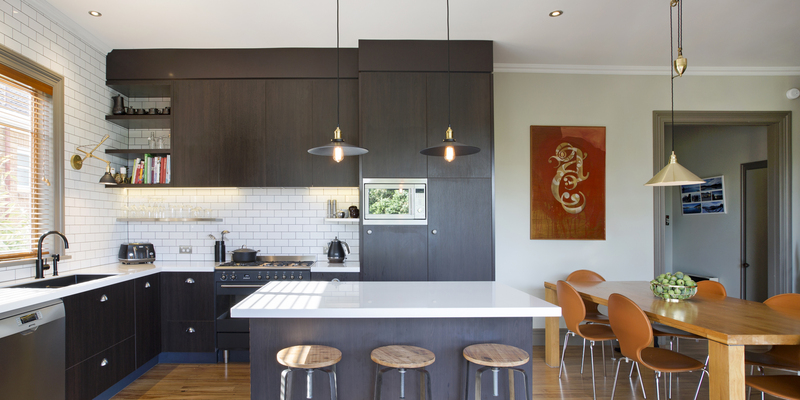 Kitchens By Design | Kitchen Design for Discerning Clients : Mt Albert. 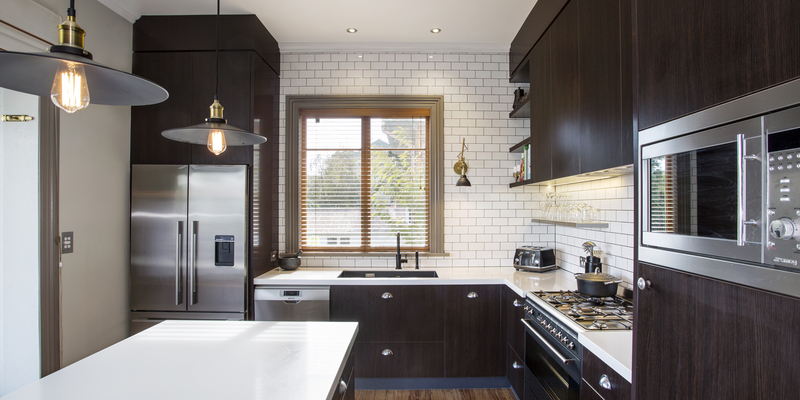 The existing kitchen in this century-old villa had no flow and was very tired. Its footprint was small, and its U-shape made it too tight for more than one person to work in. 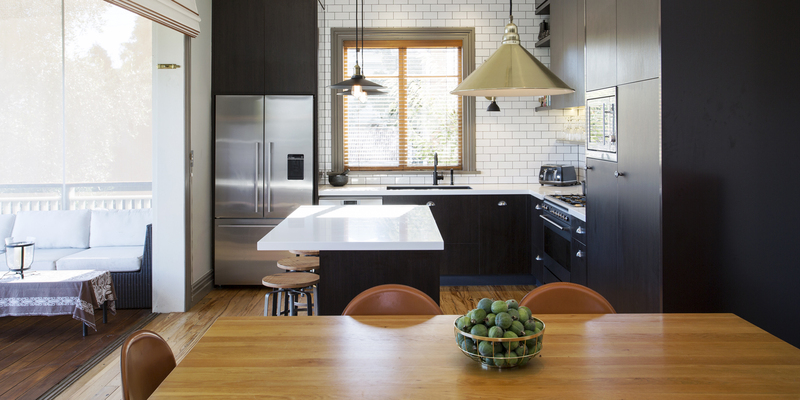 Our solution was to extend the kitchen into the adjacent dining room and introduce a kitchen island, both of which improve the flow and functionality of the new space. With an extended family and lots of friends, entertaining was also important to our clients, so good flow to the greater living area and to the outside deck was important. 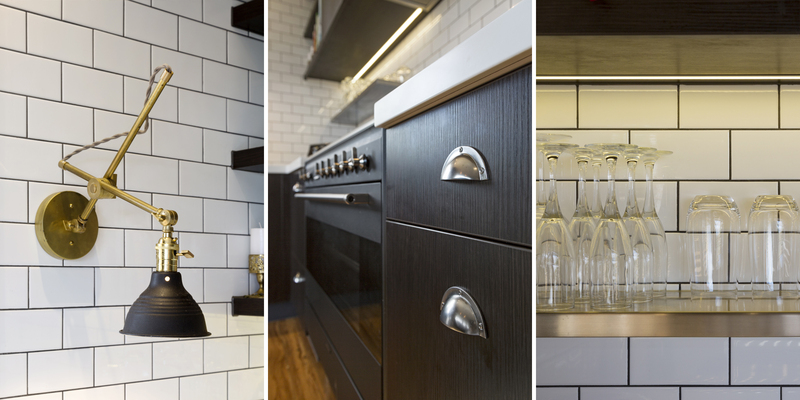 The clients are keen followers of the Arts & Craft movement, so that played a strong part in the design of their new kitchen. 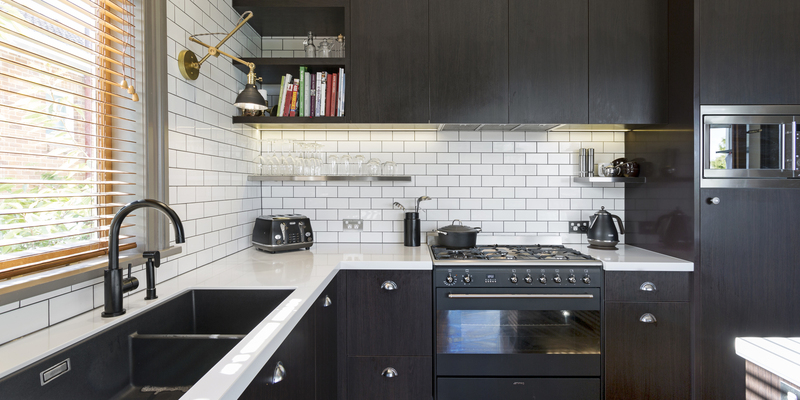 Dark timber that highlighted the wood grain was chosen for the cabinetry, and that was contrasted with crisp white benchtops and a traditional butchers tile splashback. 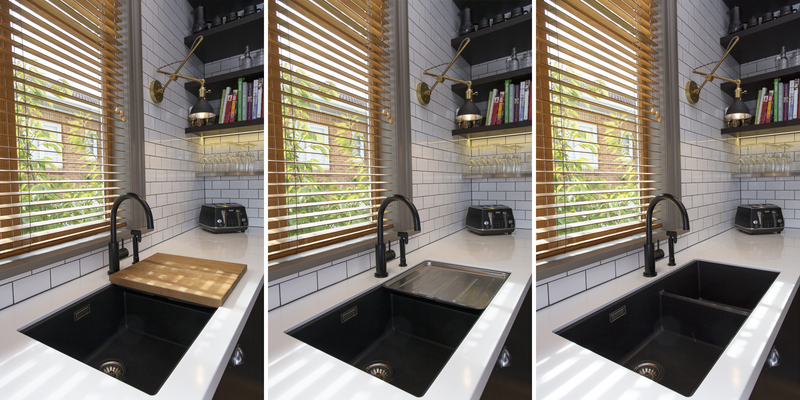 Accents of bronze and stainless steel make great finishing touches, as does the black cooking range, black tap and matching under-mounted, double sink. Good flow to the greater living area and to the outside deck was important.